Set against a backdrop of lush green mountainous vegetation, Mabula Game Lodge is set in one of South Africa's finest private game reserves. Only two hours North of Johannesburg, this 12000 hectare reserve is home to an abundance of animal and bird life, including the 'Big-5'. Exclusive accommodation is provided in our 47 rooms including 3 suites that offer guests every comfort in a scenic natural setting. · All Chalets and Tents have en-suite bathrooms. Renowned for its world-class cuisine and variety of unusual dining venues, guests have the choice of dining in the Lodge Restaurant, or for the romantic at heart, a candle-lit boma dinner under an African sky accompanied by the rhythmic beat of traditional African dancers. For special occasions, bush dinners are the ‘order of the day’, combining the enjoyment of superb food with the tranquillity of the bushveld. Attention to detail and creative flair is part and parcel of Mabula Game Lodge’s menu, adding richness and value to tantalise and accommodate all tastes. The Waterberg mountain range snugly cradles the renowned Mabula Private Game Reserve, which is home to a mosiac of exceptional scenic landscapes as well as an abundance of wildlife species. 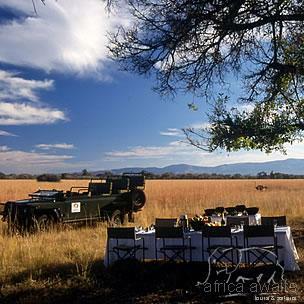 Game viewing is at its best against a backdrop of rivers, streams and streches of open vistas. 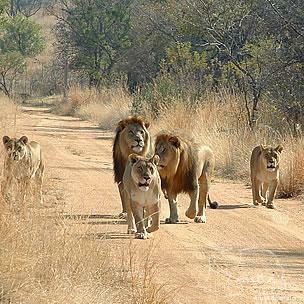 Mammal species include big game such as elephant, lion, white and black rhino, hippo, leopard and buffalo. African python and the Nile crocodile are also resident in the reserve which is a birdwatchers' paradise as well. Please contact our Reservations / Sales Office, Front Desk or Guest Relations Officer for more information regarding any of the above. Special Discounted Rates, Specific or Alternative times or any other Special Request. * Weekly children’s programme involving activities to cater for all ages, from tiny tots to teens. 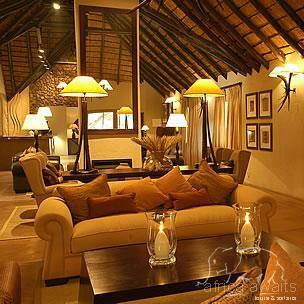 With your holiday, safari or business trip from in to Mabula Game Lodge in Waterberg.